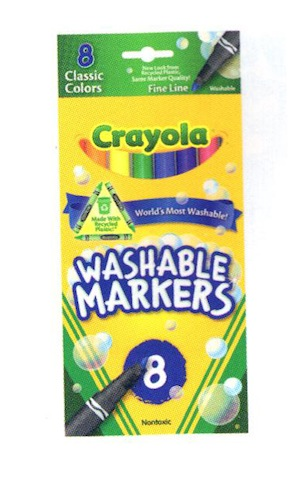 8 fine line markers. New black casing allows crayola to use more recycled plastic - keeping tons of plastic out of landfils! Never has beeing green been so colorful.